Happy Kitchen Sink Stamps Monday! 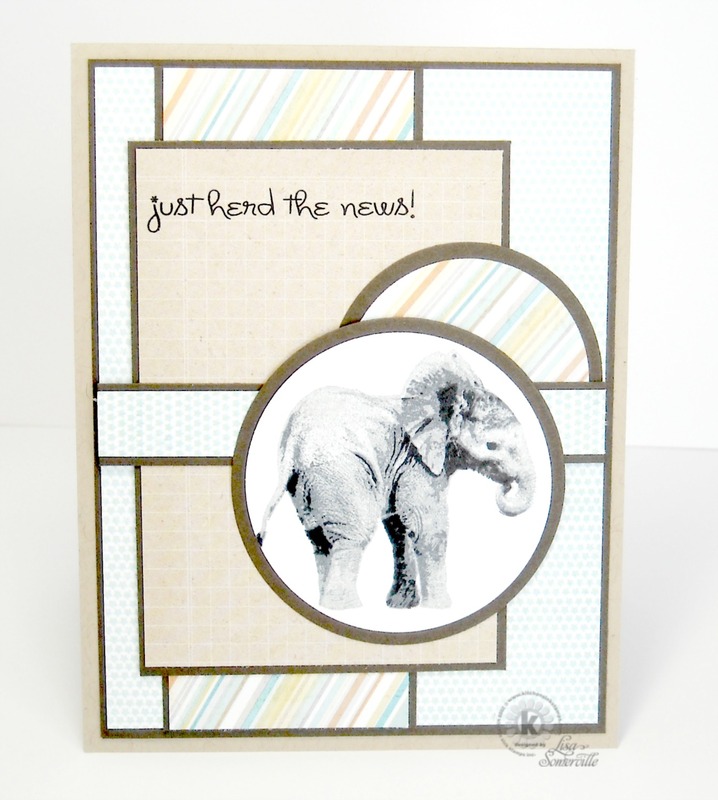 Inspired by this weeks Mojo Monday Sketch Challenge, I used Kitchen Sink Stamps Multi Step Lil' Elephant along with My Minds Eye pattern paper to create my card. Note to self, even though your ink looks dry, resist the urge to touch it with your finger or you smear your stamped image!